The Books of 1st and 2nd Kings were so named because they record and interpret the reigns of all the kings of Israel and Judah except Saul. 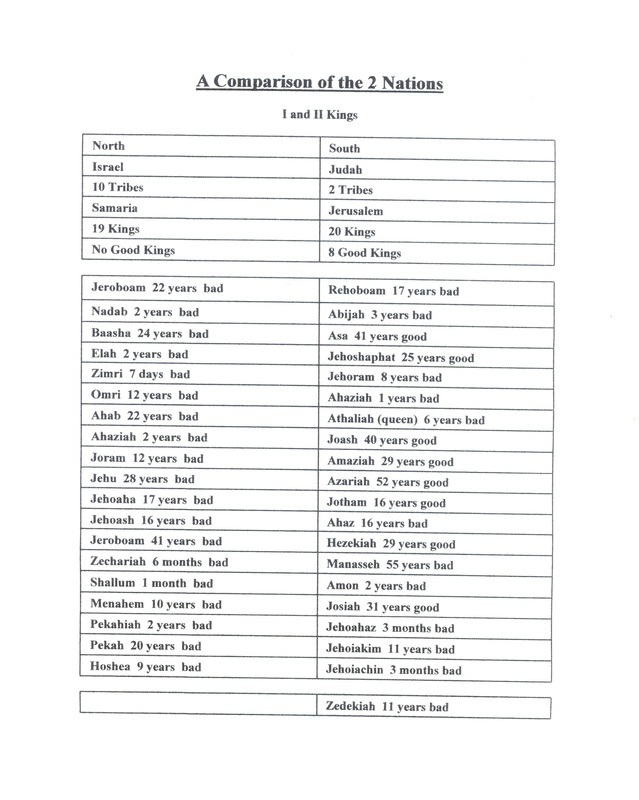 1st and 2nd Kings provide a record of Israel’s history from the beginning of the movement to place Solomon on David’s throne through the end of the reign of Zedekiah, Judah’s last king. The release of Jehoiachin from prison is the last event recorded in 2nd Kings. This took place in the 37th year of his imprisonment (560 B.C.). Therefore 1st and 2nd Kings could not have been written before that event. It seems unlikely that the return of The Jews from The Babylonian Captivity in 538 B.C. had taken place when 1st and 2nd Kings were written; had it occurred, the author would probably have referred to it. Probably 1st and 2nd Kings were completed in their final form between 560 and 538 B.C. 1st Kings possibly written between 971 – 853 B.C. 2nd Kings possibly written between 853 – 560 B.C. Though it is obvious that the author, being unknown, utilized various source materials in writing 1st and 2nd Kings, the books bear the marks of single rather than multiple authorship. The Books of 1st and 2nd Kings were written to record history but, more importantly, to teach the lessons of history. The Books of 1st and 2nd Kings, like the other historical books of The Old Testament, were written not simply to record facts of historical significance, but to reveal and preserve spiritual lessons which have timeless value.